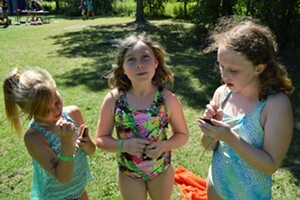 Black-Box Theater | Features | Kids VT - small people, big ideas! The Fox family is really into theater. Hang around their Charlotte home long enough, and somebody's bound to start singing show tunes — stage, curtain, lights and all. 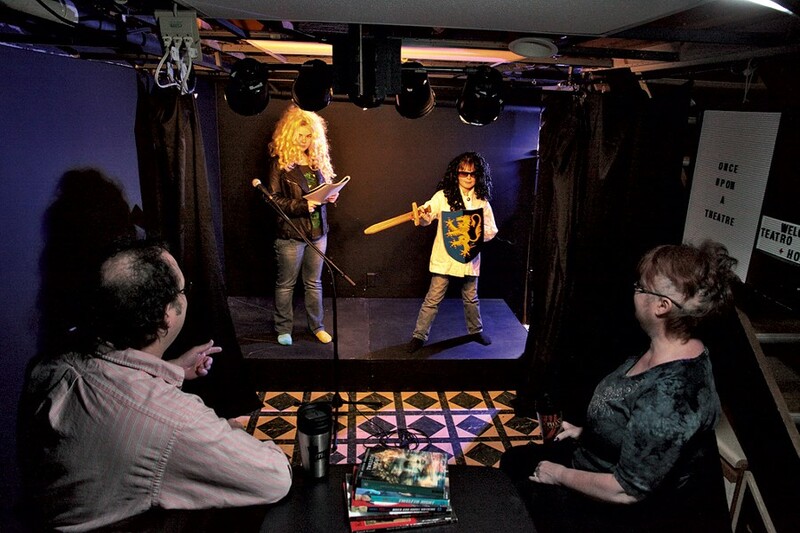 Parents Jeffrey and Sue are longtime community theater actors, directors and producers. The couple met on the set of Lyric Theatre's production of Oklahoma!, and Jeffrey went on to cofound Vergennes-based Little City Players. Their daughter, Josie, 14, and son, Benjamin, 10, caught the acting bug, too. 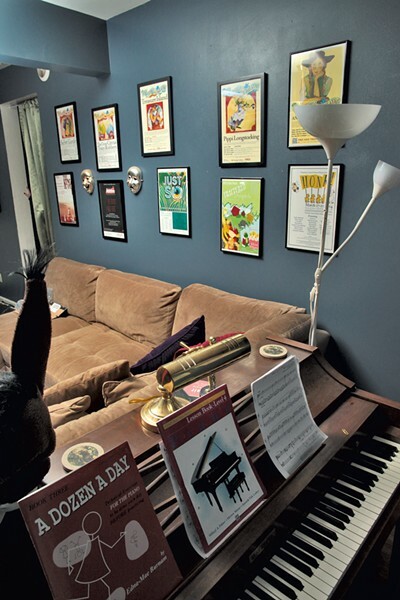 Four years ago, Jeffrey built his theatrically inclined family their own black-box basement theater where they could rehearse for shows or perform original works. "I want to be that house that people want to go to," Jeffrey says. "If kids are going to congregate, they're welcome to congregate here. That's the deal." It seems to be working. Jeffrey describes a semi-regular evening of theater that takes place when some Burlington friends join them for dinner, with the kids providing the entertainment. Josie says the space has inspired shows that she and her friends put together in as little as an hour. Jeffrey dubbed the space Teatro della Volpe, a reference to his summer pizza-catering business, Pizza della Volpe. "Since pizza paid for the theater, I get naming rights," he says. But a marquee also identifies two resident companies: Josie's Once Upon a Theatre and Benjamin's Ready, Set, Theatre. For Jeffrey, the theater honors an even more important part of the dramatic tradition than the stage itself: the idea that anyone can contribute, be creative and have fun. "It's a safe place," he says. "There are no bullies in my theater." Materials for the theater were easy to find, says Jeffrey. He made the 4- by 8-foot stage using lumber from Lowe's that he painted black. Black vinyl curtains from Walmart are draped on a rod made from metal piping, also from Lowe's. The materials cost about $250; construction took roughly 20 hours. Completing the theatrical effect are ceiling-mounted floodlights, a microphone and stand hooked up to a Bluetooth-enabled amplifier and a marquee with removable letters. Racks behind the curtain are the perfect place to hang costumes to fuel the imagination.